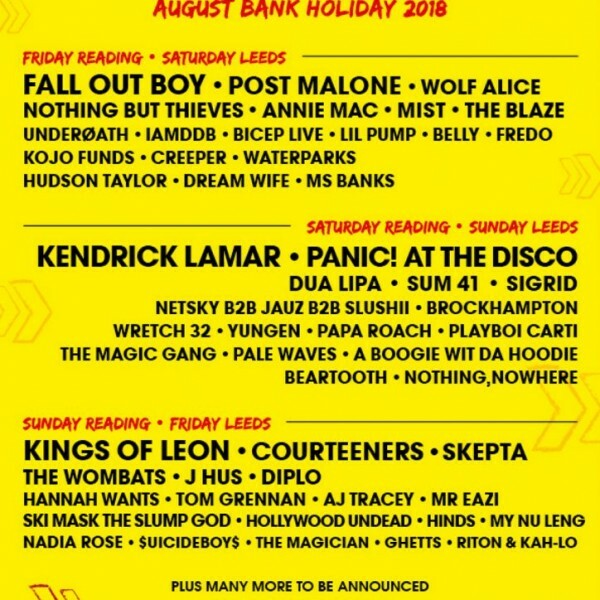 The first performers have been announced for this August’s Reading and Leeds Festivals, with some marquee names confirmed to be playing across the bank holiday weekend, with many fans giving positive feedback to the early line-up. You can see the full bill below. Topping the bill are Fall Out Boy, Kendrick Lamar, Kings of Leon, Wolf Alice, Skepta, and Courteeners. There;s also a spate of new artists who broke through in the last year or so making an appearance, like Post Malone, J Hus, Brockhampton, and Dua Lipa. Kendrick Lamar is also returning to the fabled venues for the first time since 2015, and is wrapping up the UK leg of his DAMN tour this week, having played two raucous dates at London’s O2 Arena, as well as dates in Birmingham, Manchester, and Glasgow. 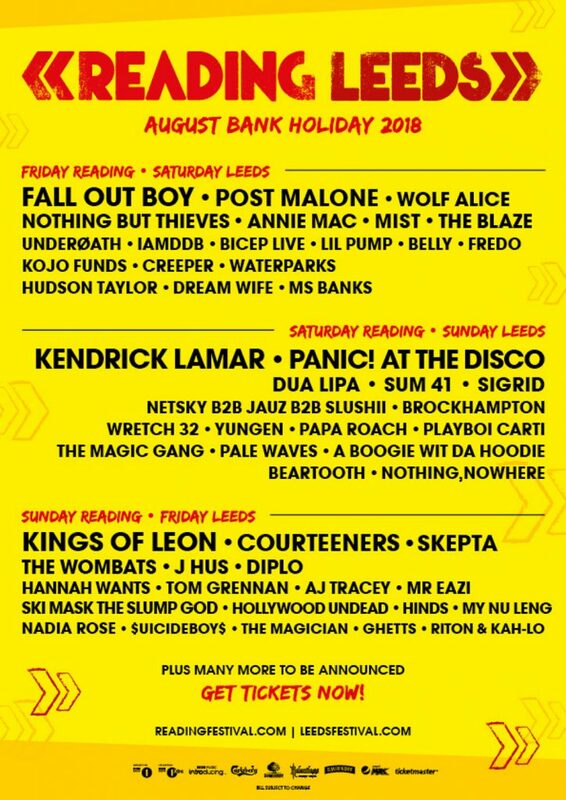 “Reading and Leeds prides itself on being a music-first festival and this year’s line-up already proves that,” said Festival Republic boss Melvin Benn in a statement today. “Kings of Leon and Fall Out Boy are bands that have grown with the festival and its fans and we couldn’t be more pleased to invite them back to headline. Reading and Leeds Festivals will take place from August 24-26, at Bramham Park in Leeds, and Little John’s Farm in Reading. Tickets are on sale now, and can be purchased here.